Since the 1980s China has bewildered the world. It has made industrial and economic progress beyond belief, progress that even the other fast developing Asian nations have admitted to have surpassed their growth by staggering rates. China's industries are making bankrupt many industries round the world. Many countries are suffering appallingly and yet they cannot do a thing to ward off the danger. China produces cheap products that consumers demand and find excellent value. Therefore, nothing can stop these products from entering almost any country. Yet, the boom in China is bound to result in a boom the world over, because as much as the Chinese are producers they are consumers and users as well. Iran, too, while suffering in certain industrial areas at the hands of the Chinese is flourishing in others as the Chinese demand more and more oil, gas, petrochemicals and certain other items, and for which they are prepared to pay better prices even than the West. It all started in the 1980s when China came out of its self-inflicted isolation to join the world economy. When Hong Kong was returned to the Mainland it brought with it tremendous business opportunities and threw the gates of exports open for China. China welcomed foreign investment, and investors rushed to China where labour was cheap and labourers conscientious, the Chinese like all other the people of this remarkable race, being hard working and zealous. Team work is the rule and the whole nation moves as one body. The boss is respected totally and cares about his peoples with all his heart. There is a sense of national pride that is exemplary, and hard to find anywhere else. One billion and two hundred thousand people working hands in hands as one nation, one body... Thus the achievement they made within two decades, during the 1990s in particular, is hard to believe, even though it has actually happened. For a number of years China's growth in GDP was a two digit figure. In 2003-4 it slowed down to 9.6%, still astounding compared to other nations, past or present. Its industrial growth declined in 2004 to 16.2 from the previous 23.2% and from the average of 20% over many years. Meanwhile, the Central Bank of China held the rate of exchange constant against most hard currencies and to curb inflation it increased the basic interest rate from 4.0 to 4.5%. The total foreign resources invested in China by 2004 are estimated to amount to some 470b dollars. A large producer necessarily needs large supplies of materials and parts. China's needs for steel and aluminum have had a significant effect on the world market. At the same time the country's high level of demand for fossil and nuclear energy has become a source of worry for international organizations that concern themselves with the environmental pollution, and the related issues. For instance, the International Energy Agency has recently announced China to be the second largest emitter of carbon dioxide, next to the USA. During the years 1990-2004, the Agency adds, China has had a growth of 204% in its GDP and 43.5% increase in its carbon dioxide emission, which has increased from 2,889 million tons to 3,307m tons in the same period. China's great demand for energy has forced it to exploit its coal mines which has had two adverse consequences. Firstly, coal produces very high levels of pollution and secondly landslides at the mines sites have caused loss of many lives on several occasions. Pressure from international agencies and from losses sustained within the country have forced China to resort to "cleaner" sources of energy particularly natural gas which produces relatively very low level of pollution. And since Iran is now the second largest possessor of gas reserves, China has become attracted to Iran and the already excellent trade relations between the two countries have improved remarkably further. During the past 50 years relations between China and Iran have been growing steadily, and lately quite rapidly. Unfortunately imports from China to Iran have badly affected Iranian producers, particularly those of clothing and footwear, causing many to even go bankrupt. But on the whole Iran is benefiting from this relationship. Many Chinese engineers and technicians and executives are now working in Iran to expand and improve the subway network and other construction projects that are vital for the future of the Iranian nation. 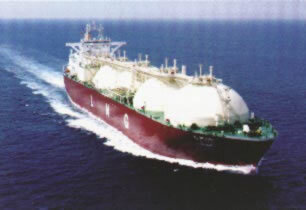 In return China receives from Iran oil, and gas in its compressed or liquefied forms (CNG and LNG) to allow easier shipment, as well as some petrochemicals. On 1st March 2004 a letter of understanding was signed by National Iranian Oil Company and China's Sinopec Co regarding export of gas from Iran to China. On 28th October a general agreement on cooperation between the two countries was signed on a visit paid by the Iranian Oil Minister to China. Details are now being worked on and the agreement is being agreed upon step by step. The agreement emphasizes the cooperation between the two sides on oil and gas explorations, and refinery and utility projects, among many others as well as cooperation on oil and gas. In this agreement China undertakes to buy LNG and CNG from Iran. Sinopec, representing China, undertakes to buy 10m tons of gas (LNG) a year for a period of 25 years. In the same agreement China expresses its will to cooperate with Iran in the exploration of oil and gas and to make investments in this sector. In the year 2000 Iran adopted the policy of "Looking to the East" which directs Iran's attention to the East for future economic and trade cooperation, rather than to the West. Iran intends to rapidly develop its economic and trade relations with China, Malaysia, Indonesia, India, Korea... which are rapidly developing and excellent clients for Iran's oil and gas. Iran hopes to be in the position of securing all of China's demands for natural gas while Russia is at the same time trying to increase its share of the Chinese market. But the Chinese seem quite happy buying LNG from Iran which is carried in huge vessels built for the same purpose. 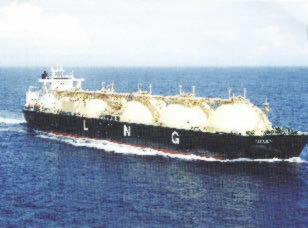 In fact China is rapidly developing its port facilities to handle LNG as it arrives at its ports. When Iran decided, in 2002, to "look towards the East" for its future economic development it appeared that it had taken the right course. Today, it is obvious that it could not have made a better choice, nor did it have even a comparable choice to consider. So, all one can say at the present about Iran is: "Look Eastwards with Hope!"